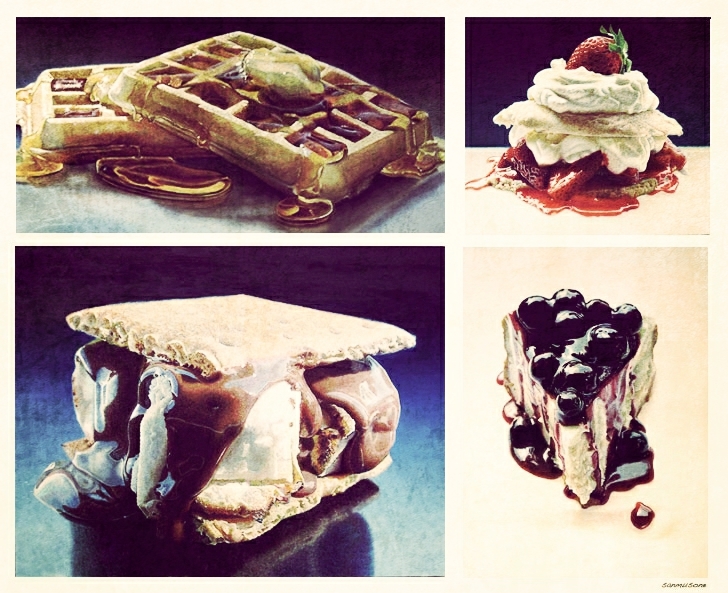 How badly you crave for something sweet now after seeing this image? 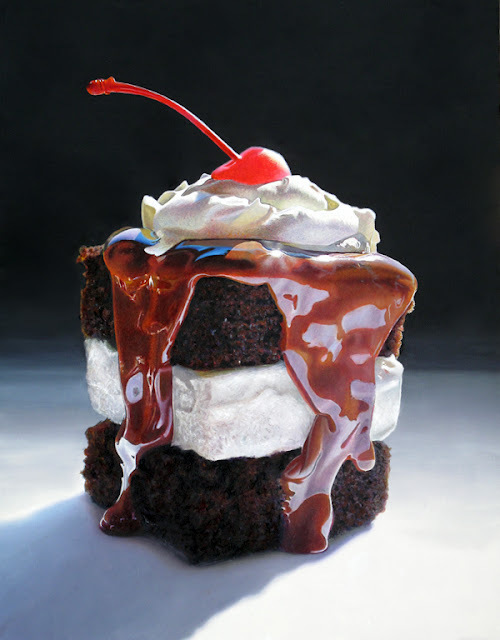 ?=) For me who is sworn sweet tooth this is huge joy for the eyes…and it’s made by one magnificent artist – Mary Ellen Johnson. I’m not saying photographer, because this is not photos! 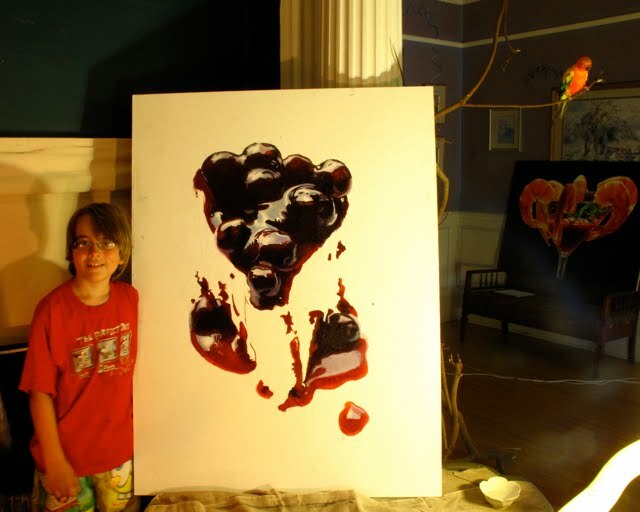 I couldn’t believe when I discovered these are paintings! 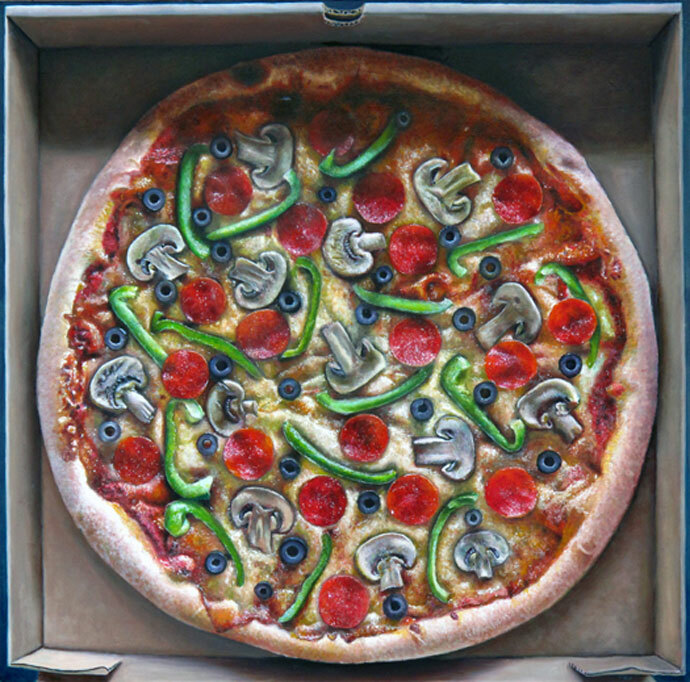 They look unbelievably photorealistic… I have no idea how it’s possible to paint so realistically, but apparently it is very much possible! Mary Ellen Johnson (born 6th of October, 1967) raised in New Jersey, currently resides in the Pee Dee Region of South Carolina. 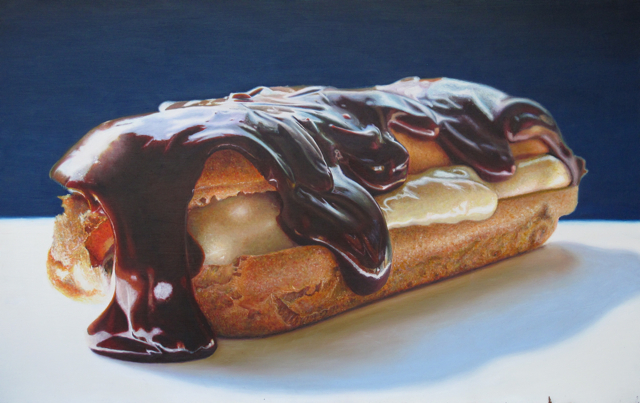 The challenge of finding something to paint each day led to painting everyday objects—including food—which slowly evolved over time to become the primary focus of her daily painting blog. 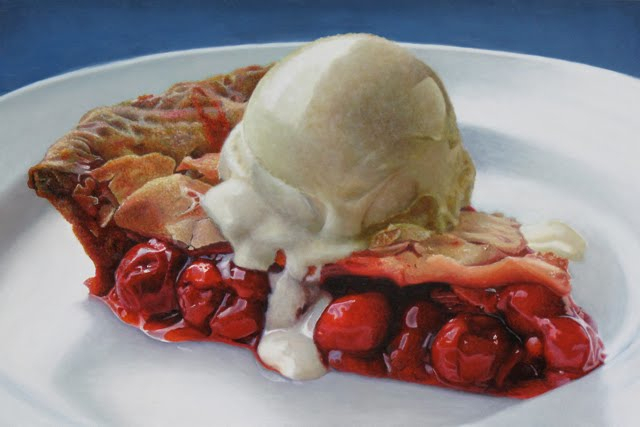 As an artist and blogger, Mary Ellen enjoys the connection she creates with readers and their cravings for her subject matter. 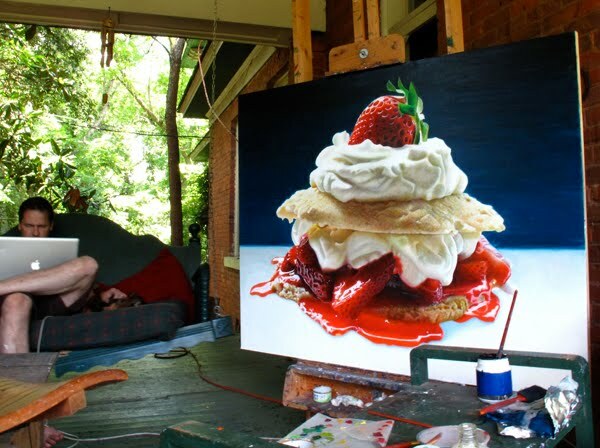 And of course, each painting is not only tasty, but incorporates skilled oil painting techniques. 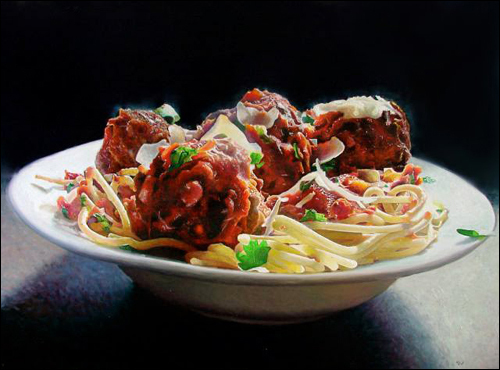 Mary Ellen Johnson prepares most of all the subjects she paints, and uses real food. 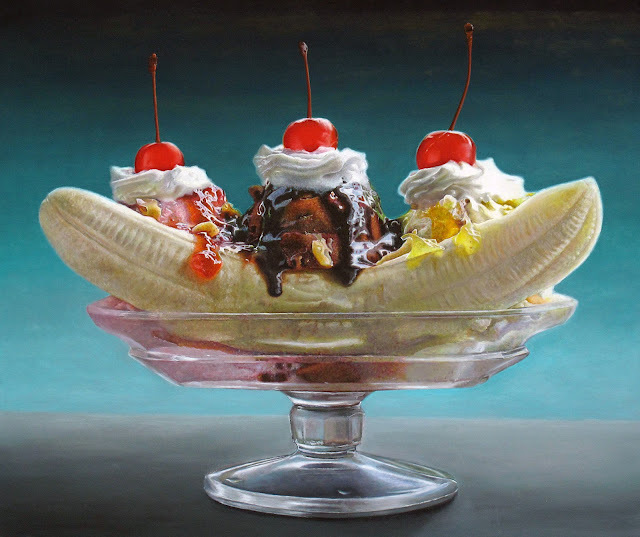 For the American artist size matters. Ability to capture light is definitely one of Mary Ellen’s strengths and by choosing a black background, she helps the viewer completely focus on the image essence. 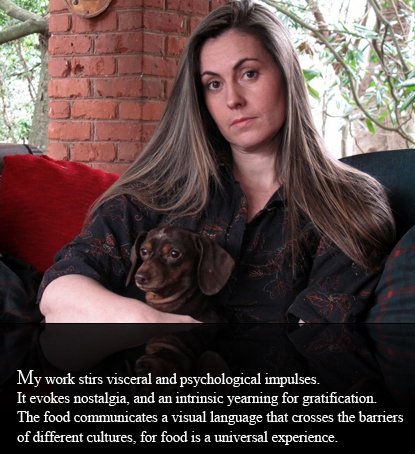 To see more of Mary Ellen, visit her website www.maryellenjohnson.com and her Blog. You can also follow her on Twitter.